Patients in Galway are almost twice as likely to be waiting for "unacceptably long periods", sometimes up to 15 months or more, for inpatient or day-case operations, as those in the rest of the State. 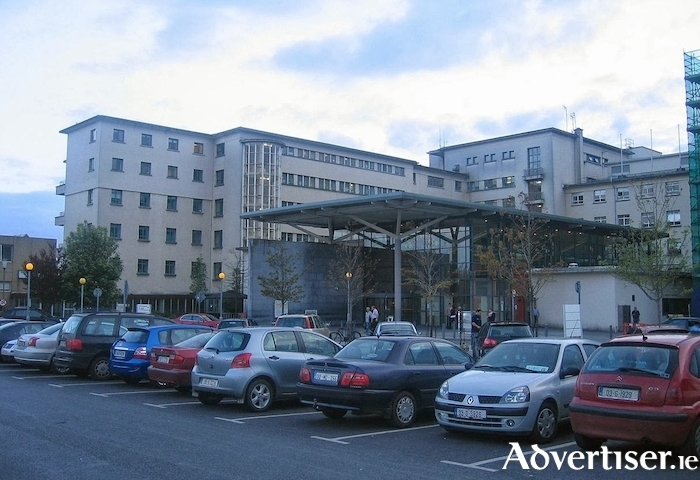 This is according to Independent Galway West TD Noel Grealish, who told the Dáil that Galway’s two public hospitals "were an example of the woes of the current health system", with growing waiting lists and overcrowded emergency department at University Hospital Galway, and leaking roofs on operating theatres at Merlin Park forcing the cancellation of operations. The Carnmore based TD said waiting lists for outpatient treatment "in the vast majority of specialties" has "shot up in Galway" over the past year, rising from 33,548 to 38,652, while there were also large increases in the numbers "enduring long waiting times" in many areas. Those waiting 15 months-plus rose to 6,576 - an increase of 78 per cent. He added that 114 people have been waiting for more than a year in Galway for cardiac treatment, when this time last year there was just one patient in this situation. He also noted how there were 17 people last year waiting more than a year and a half for oral surgery — this total has since "soared to 570". However Dep Grealish acknowledged that "some movement" had been made in reducing the inpatient and day case lists at at UHG — down from 11,822 at the end of October 2016 to 11,425 at the end of October this year. He said though, that it was "disturbing that this hospital still accounts for more than a quarter of all the patients in the country who are waiting for more than 15 months for inpatient treatment". The Galway West TD accused the Government of showing "a lack of urgency" on the Sláintecare Report, produced by the cross-party Committee on the Future of Healthcare, and published in May. "We are still waiting for the establishment of an implementation office that will see its recommendations brought into action,” he said. “We seem to be going backwards rather than forward in terms of healthcare and the reforms suggested in the Slaintecare report can’t come fast enough." In response to Dep Grealish, the newly appointed Tánaiste, Simon Coveney, said the Government was "anxious to get on with" implementing the Sláintecare recommendations, and that the Minister for Health, Simon Harris, was developing a response to the report and a draft implementation plan, due to be published soon. In relation to Galway, the Tánaiste said Budget funding to improve access to emergency care in 2018 would enable the opening of additional hospital capacity, including new beds, and additional diagnostic services, and surgical capacity to reduce emergency department overcrowding. “I am not saying we are where we need to be and there are clearly issues with, and pressures on, health provision in Galway," Minister Coveney said. "However, we have a significant funding programme, both capital and current, and that will ensure we address these issues over time."